The ski season is already coming to an end and what a great, albeit chilly, winter it’s been! 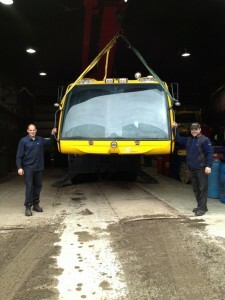 Our mountain maintenance team is already working on switching the hill from winter to summer mode. With the first mountain bike event of the summer, the 21st Quebec and Canada Mountain Bike Cups, being held mid-May, plans are already in place to clear out the necessary trails in time. The teams have already started clearing the main summer roads in order to access the summit and the mid-mountain garage as soon as possible. The first step will be to take out the snow park rails and remove any extra equipment from the slopes like run markers and certain signs. 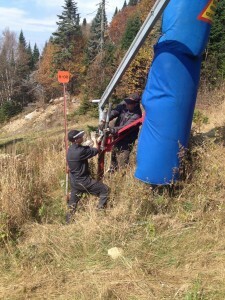 The lift maintenance team is already hard at work on summer upkeep for our lifts. 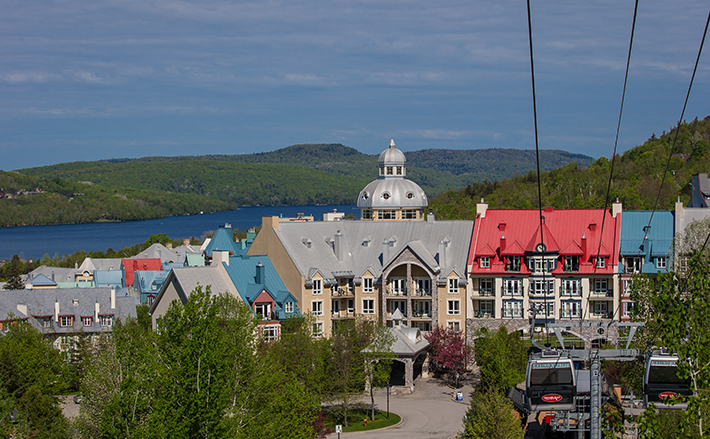 The priority for the next few weeks is centered on lifts that are in operation during the summer, namely the Cabriolet, Casino Express, Panoramic Gondola and Flying Mile quad chair. The maintenance period for these lifts is very short! The summer season launches on May 16th with the opening of many of our summertime activities such as Ziptrek and Luge, as well as events like the Vélomotion. Afterwards the maintenance team will review all systems and all components of other lifts until next winter. The summer maintenance of our fleet of grooming machines has also started and we will shortly begin the maintenance of the snowmaking system including pipes and snow guns. The mountain operations team is constantly adapting to new challenges and weather conditions, even after the season has ended. We know quite well that no season is quite like the previous one! We would therefore like to thank them for their remarkable work throughout the season. Thank you for the great skiing!